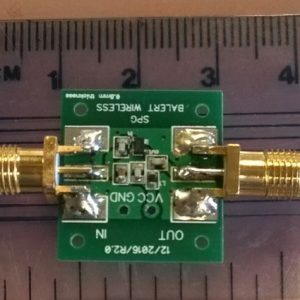 Frequency band of operation: 40 Mhz to 2.5 Ghz. Power: 1 dB compression point, 4.5 dBm typical. NF 5 dB typical over the frequency band.